"We've had really impressive growth; we launched the Zappi in November so it's not even been a year and we've gone from seven staff to thirty, we're building a new production facility to be able to cope with sales, and we've started shipping globally as well so we've had immense success,” said Jordan Marie-Brompton, director of sales at MyEnergi. "We don't say no to installers but we're really trying to refine them now. We run a training course because our products can be as simple or as complex as you like depending on each home,” Brompton said. "The solar installers are really good quality and they've lasted through the hard times of the industry. With just specific EV installers, we're trying to make sure that they definitely do our training. “Because of the OLEV grant, there's a lot of people - like with the FiT - popping up so we want to make sure that we get the right ones and we feel like we have got some really strong partners. 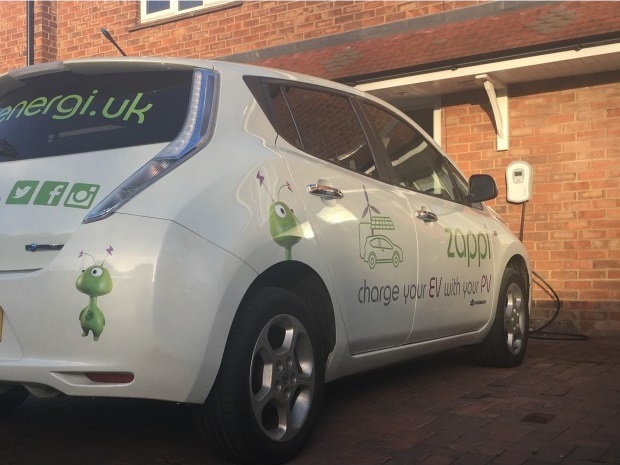 “We didn't think Zappi would take off as well as it did because it's a niche of a niche but we couldn't have been more wrong; it’s the product they've been waiting for,” she added. Myenergi is just one of more than 60 exhibitors at this year's Solar & Storage Live exhibition, which takes place at Birmingham's NEC between 16 - 18 October. Registration is entirely free and you can book your place at Solar & Storage Live here.